As glorious as summer is, it can sometimes throw us off kilter. From sweltering heat and sunburn, to freezing offices and drying chlorine, to days full of sweet drinks and salty foods, it’s easy to feel out of sync. Fortunately, the ancient and effective practices of Ayurvedic medicine can help bring you back in balance. Read on to find out what your dosha is and how to keep them balanced during the long summer days. What is Ayurveda and Ayurvedic medicine? Ayurveda is the thousands-years-old Hindu practice of achieving health and happiness through balance. Ayur means “life” and Veda means “science” in Sanskrit, and Ayruvedic medicine strives to keep the body and mind in perfect harmony. The body and mind are symbiotically connected in Ayurvedic medicine, and you cannot try to address a problem in one without also working on the other. One of the key tenets of Ayurveda is balancing the doshas that exist within all of us. Doshas are elemental energies that are linked to various personality traits and bodily functions. There are three doshas in Ayurvedic medicine. Everyone has all three doshas inside of them, but usually one or two are dominant. Therefore, creating different personality and body types. The three different doshas are Pitta, Kapha, and Vata. A contrast of fire and water, passionate Pittas are creative, sharp, and focused. They can be overly assertive and bossy, and are creative. They are prone to irritation and frustration, but also are excellent at solving unusual problems with their inquiring minds. The Earth and Water sign, Kapha is steady and grounded. Kaphas are strong and hard working, but can easily get stuck in a mental and physical rut. They are compassionate, loyal, and empathetic, but also prone to depression and a stagnant routine. If you want to discover your dosha composition, there are tons of quizzes online, but some of my favorites are here, here, and here. How can you balance your doshas during the summer? Summer, like winter, is a season of extremes, and your doshas will need more balancing than usual this time of year. In particular, fiery Pitta flares up during the summer, and especially if you are Pitta dominant, you may find yourself feeling anxious, irritable, and overheated. This may manifest in heartburn and other digestive issues as passionate Pitta burns strong, and you may notice more Pitta flare ups as acne, rashes, and other skin inflammations. To quell Pitta, Ayurvedic medicine teaches us to balance it in body and mind. Remember, Pitta is fire and passion, and to balance it we need to emphasize everything calm, cool, and quiet. Keep cool: Swimming and relaxing walks in the cool morning or evening are excellent activities to help calm Pitta down. Also, try to stay cool in general by drinking enough water, staying in the shade (invest in a good hat), and allowing yourself to relax in front of a fan if overheated. Soothe: For Pitta skin flare ups like acne, rashes, and burns, turn to soothing moisturizing aloe vera and cucumber instead of intense clay masks. Keep a moisturizing gel mask in the fridge for the ultimate in Pitta-soothing skincare. Nourish: Avoid spicy, oily foods, and anything that is sour or salty, as they will aggravate Pitta. Instead, stick with cooling dairy products like milk, yogurt, kefir, and cheese, fruit, and light sweeteners, like honey and maple syrup. A bowl of yogurt with berries and honey is an ideal breakfast to balance Pitta. For lunch and dinner, cold and hydrating salads and vegetables (especially avocados) are wonderful. Plain grains like white rice and barley are very soothing. Stay calm: Pitta flare ups manifest in irritability, anger, anxiousness, and hurtful sarcasm. During cool morning and twilight hours, yoga and meditation are also excellent to help quiet the anxious mental energy of Pitta. Also, try and indulge your inner Kapha by finding a good daily routine and sticking to it as much as possible. Yes, even during summer travels. This will keep your Pitta and your Vata balanced and leave you feeling more secure. Follow these tips and you will be feeling peaceful and happy in no time. One of the best parts of Ayurvedic medicine is that, while there are similarities of mind/body types, there is no “one size fits all” approach to balance. Every individual is different, so you need to listen to your body and do what feels right for you. By learning to balance your doshas, you’ll be living your best summer life, in harmony with your body and mind. 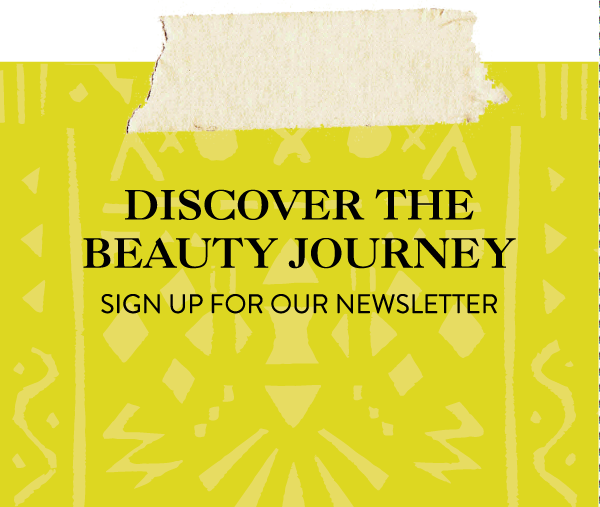 Obsessed with Indian inspired beauty? Explore Little India in NYC with ATW Beauty Founder Stephanie Flor in the video below.